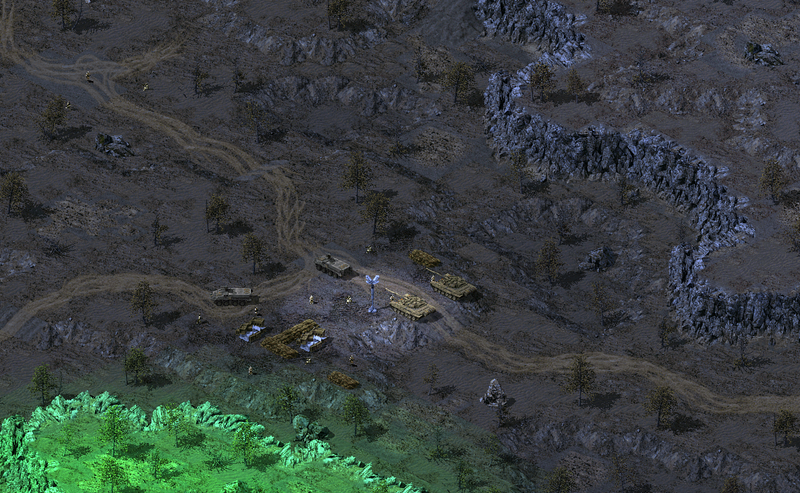 I'm presenting you with a nice asymmetrical designed map for 2 players with plenty of tiberium and some custom effects. Details are in ReadMe file. For additional information, compliments, problems, etc. send me a message. 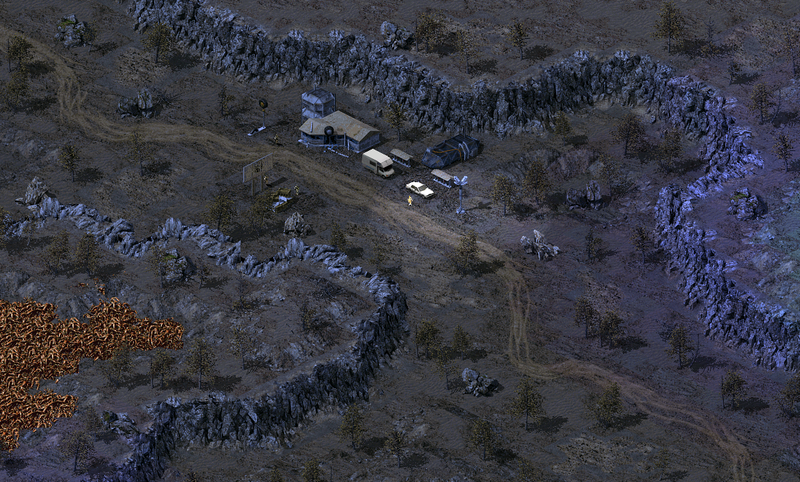 detailed terrain, nice city to explore, good ambient lighting. 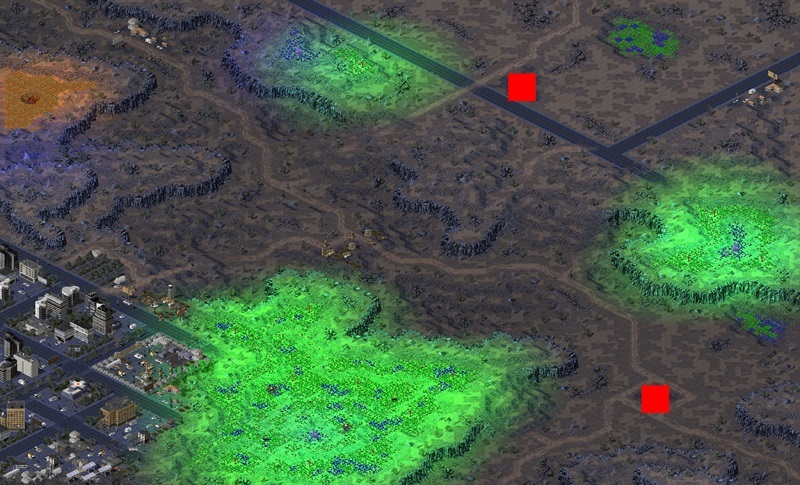 the base in the city is kinda overcrowded, I would put far less units there, also spotlight tower light directed inside this base makes it fell like prison. 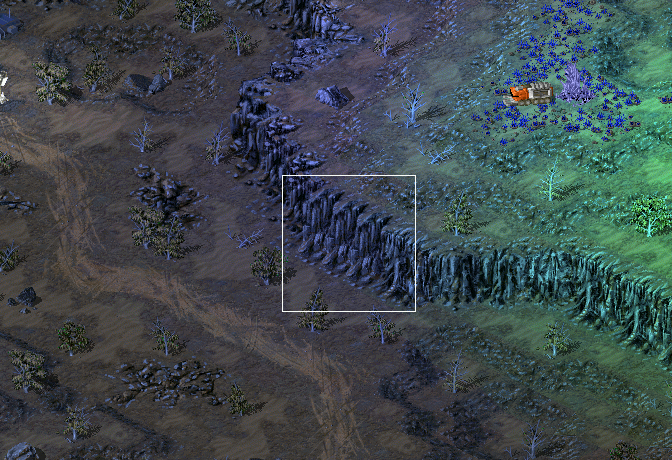 Same for the other spotlight, better to have it rotated to cliff entrance. triggers are nice in this map, but having each one set to "elapsed time" is not good solution. Most of these triggers starts too soon at the start of map, players are not able to spot any these triggers because it is impossible to reach that part of a map that fast. Better solution would be making these triggers to start based on player's actions. 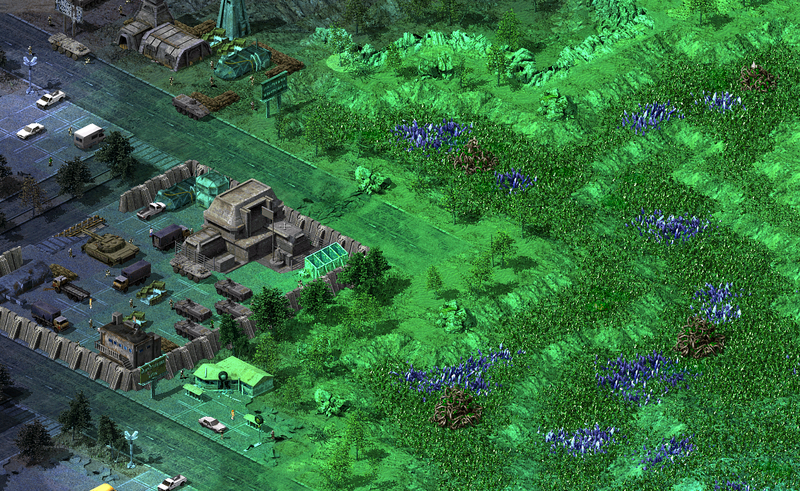 For example, when some building in base is attacked or destroyed, send reinforcements to that location. 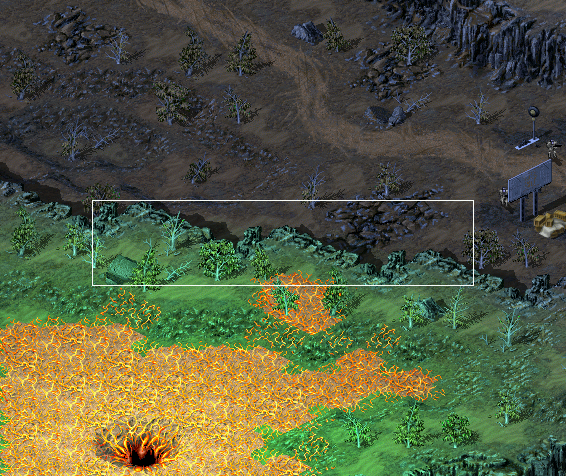 Thank you for your reply and for suggestions on how to improve the map. It has been updated and re-posted. Search light emitted by the light tower circles around the structure itself due to the changes I have made in the rules.ini file. The thing was that I wanted to build the light tower in the game itself, so I compromised and made the light circling around instead of making the 4 copies of the tower, each facing in different direction. I just see a problem with the Resources... Distrubution is unbalanced.